Just imagine the memories that will be made on this Supreme Fort! 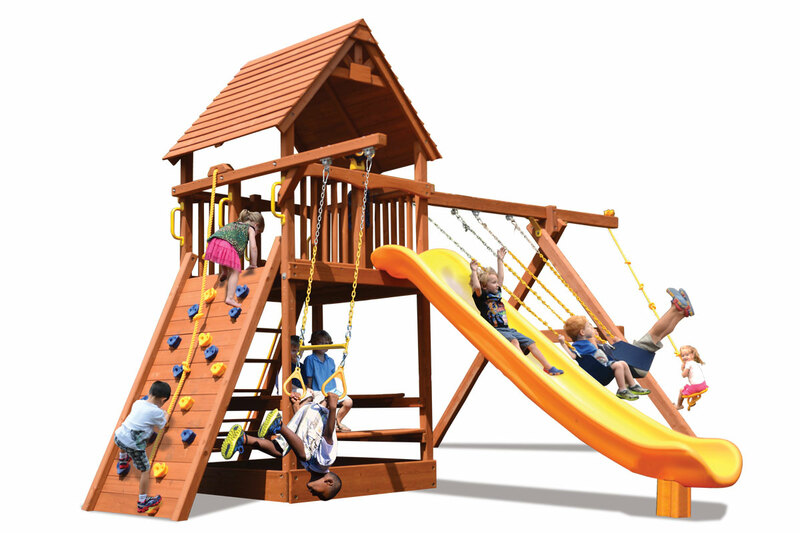 The 6.5′ platform height , 13′ super slide and 9.5′ high swing beam will provide endless hours of fun for the kids and peace of mind for parents knowing the unit is constructed with massive 4×4 and 4×6 all natural chemical free cedar. The unit also boasts a built in picnic table/lower level floor/sandbox cover. A rock wall and lap bevel wood roof are included as standard features! Dare to compare and you’ll find the Supreme Fort is considered another best in class/best in value playset only offered from Playground One!